The study of consciousness has gained a huge amount of attention over the past decade as we begin to not only realize more about the true nature of our world, but as the growing desire to truly discover ourselves becomes something we can’t ignore any longer. 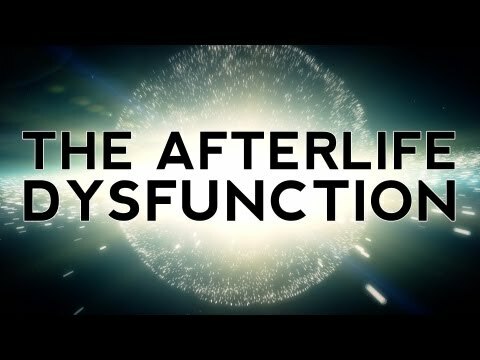 Quantum physics may have just proven that there is an afterlife. Scientist Robert Lanza claims that the theory of biocentrism teaches that death as we know it is an illusion created by our consciousness. Professor Robert Lanza claims that life creates the universe, and not the other way around. Lanza is no newbie to controversy. He has been working with cloning and stem cell research for over a decade and with his new book Biocentrism, he is attracting even more controversy. While his ideas are ahead of their time, it doesn’t help that the current scientific community is very opposed to new ideas and change. According to Lanza’s study, if space and time aren’t linear, then death can’t exist in ‘any real sense’ either. When it comes to these ideas, they are usually known on an intuitive level and later move towards being proven at a scientific level. I personally feel that we give so much weight to our rational, objective left brained mind that we lose sight of a world that exists right along side that one. There is a whole other side to us and this world that we close ourselves off to in order to stay as scientific as possible. This is one of the greatest hindrances we can put ourselves through as one of the most powerful tools we have, our intuition/heart brain, is then cast aside. The same thinking that allows us to realize amazing scientific discoveries can also get us stuck in scientific delusions should we not stay open to change. We are seeing this in a huge way as we look at the divides that are being created in the medical and scientific fields. Some are holding onto old ways, while others see what has been right in front of us the whole time, simply by thinking with more than just the mind (with the heart.) It’s important to note that although these ideas seem and are profound, they have been known for a long while but simply have not been accepted by current culture.